Presonus forum tab in S1 start page? Reason for this is that I personally prefer forum discussion over Facebook group. 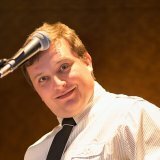 Why can I not post in the PreSonus Forum?